nor should it feel right to do something wrong. Concerns about looting in areas of strife are not unusual nor unfounded and the Civil War raging in parts of Syria and Iraq has rekindled those concerns. Some have argued that the sale of looted antiquities is a primary funding vehicle for terrorist activity. While that point is debatable, and certainly not true in the case of coins and other portable antiquities, the general point is well taken. No responsible dealer nor collector would intentionally or knowingly sell nor purchase objects that are likely to have emerged from the strife in Syria and Iraq. There's that weasel word there again, "knowingly". But, hark, do we hear the penny dropping - however insincerely? The only defense against unwittingly doing that is to determine to the best of one's ability where ancient and medieval objects originating in these countries have been in recent years. 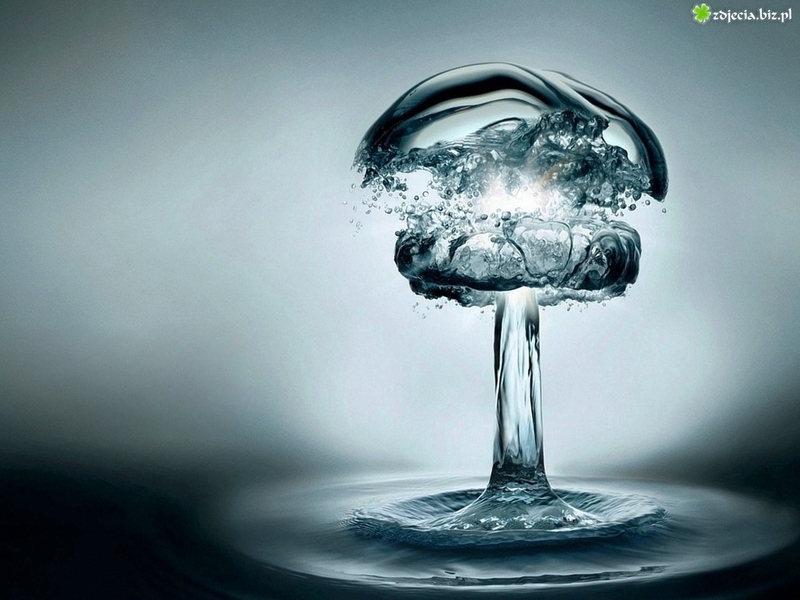 Due diligence would include the avoidance of purchasing groups of suspect coins from unverifiable sources. Although provenance is not typically available for average collector coins, the ACCG encourages dealers in ancient and medieval coins originating from these countries to, whenever possible, indicate in item descriptions the basis for a belief that the item being offered is not a product of the current conflict nor related looting. In other words, descriptions could include a good-faith effort to provide the nearest thing possible to provenance for at least the most recent transactions. This might include a citation to a known collection, previous offering in the trade, recent source or venue or any other pertinent information that aids seller and buyer diligence in following applicable laws. Let's hear it for the ACCG. There are two ways to be fooled. 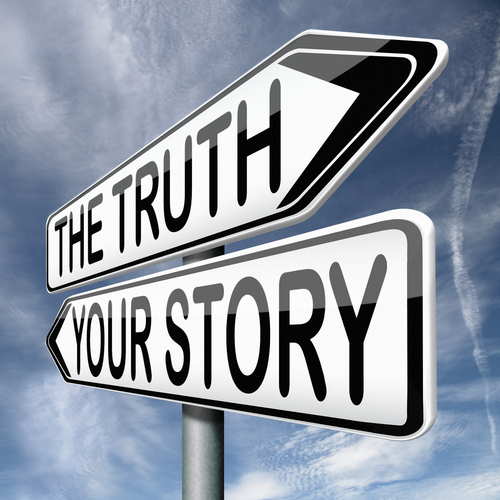 One is to believe what isn't true; the other is to refuse to accept what is true. Militants from the Islamic State of Iraq and the Levant (ISIL) have reportedly blown up most of the Temple of Bel in Palmyra. [UPDATE Sept 1st 2015: Ben Quinn and agencies, 'Satellite images reveal Isis destruction of Palmyra's Temple of Bel', Guardian, Tuesday 1 September 2015]. The smugglers responsible for driving 71 migrants to their deaths in the back of a cramped, unventilated truck in Austria were part of a vast international syndicate that has been a subject of multiple criminal investigations, a leading European law enforcement official said Saturday.[...] Rob Wainwright, director of Europol, said in an interview that [...] greater coordination is needed to confront smuggler networks that are themselves more internationally integrated than ever before. “What I’m seeing is the emergence of a new, more enterprising community of criminals,” he said. 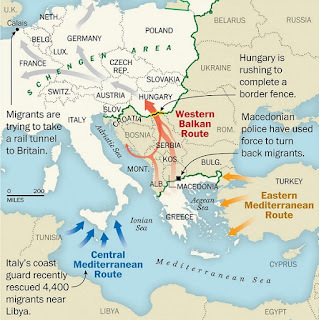 [...] Wainwright estimated that about a third of the migrant-smuggler cases his agency has helped investigate also involved another area of criminality, including drug smuggling, money laundering and sexual exploitation. and it's only a matter of time, I suspect, before we see antiquities join that list, then things are going to get difficult for no-questions-asking dealers and collectors. 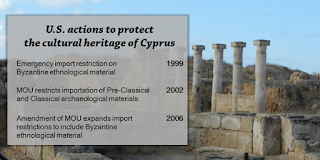 "US and Cyprus #unite4heritage since 1999 to protect Cypriot cultural heritage"
and a segment of the dugup antiquities dealers are still trying to fight it in court.What do we think of that? Donations to the PAS seem to have stopped: "Supporting the Portable Antiquities Scheme" £195.00 raised 5 donations (100, 50, 20, 20 and 5 pounds), divide that by 8000 English metal detectorists - that's 2,44p per head so far from the ungrateful oiks. They are probably out at rallies now digging up who-knows-what. There's a fluff piece in the local press for the Trafficking Culture people in relation to the upcoming EAA conference in Glasgow which begins this week (Judith Duffy, 'Scotland's elite archaeologists target global tomb raiders' Herald Scotland Sunday 30 August 2015). An elite (sic) team of Scottish academics is at the forefront of tackling the global trade in priceless artifacts like those looted by Daesh from ancient cities such as Syria's Palmyra. The team of archaeologists, lawyers, criminologists and anthropologists from Glasgow University - the only academic team on the planet devoted to studying the illicit trafficking in antiquities - has warned that while atrocities committed in Palmyra has focused global attention on the loss of precious heritage sites, the scale of the problem is far bigger than what is happening in Syria alone, with temples being looted every single day in some countries. The only problem with that is that NONE of the Glasgow team are specifically working on the issues of looting in Syria and Iraqi, preferring to visit Latin America, Greece, Thailand, Cambodia and Nepal to do their fieldwork, and one of them (Donna Yates) has consistently denied that there is even any evidence that ISIL are doing any trading in "priceless artefacts". Why the Herald Scotland spells it "artifacts" is difficult to explain (cut and paste from something handed to her by a US-educated interviewee?). There are a number of eyebrow-raising and hair-raising posts in the "Cleaning Finds" section of a metal detecting site near you. These people clearly have no idea about how to handle ground-dug metal objects. Here's one ungrammatically-named thread which is fairly symptomatic of the problem ("Restoring the patina on an over cleaned bronze coin?"). 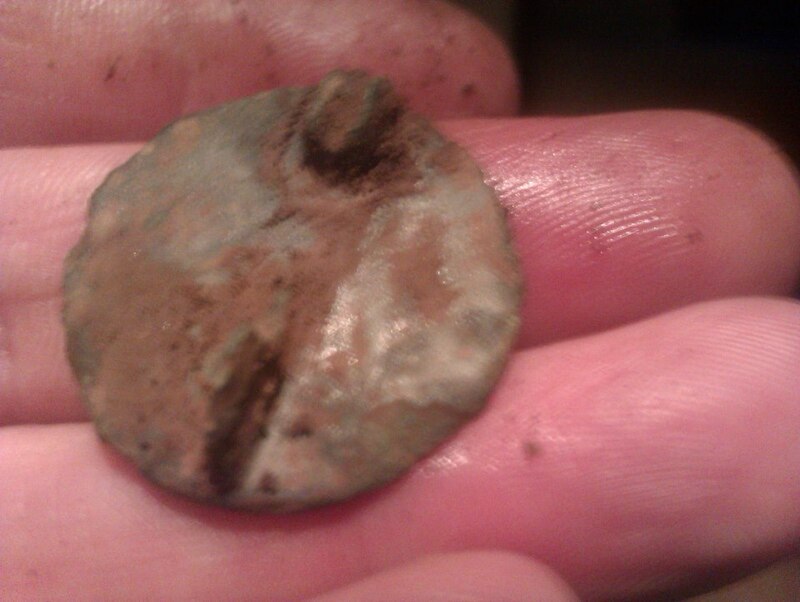 Ollie-C from Suffolk (Thu Apr 16, 2015 4:07 pm): I found my best bronze coin 4 months into the hobby but I didn't realise it at the time and stupidly over cleaned it stripping off all of the original patina, I have learnt my lesson! [emoticon, emoticon] Is there anyway [sic] I can restore the look of the original patina without purchasing any funky chemicals etc? I'd like to achieve a black/brown finish ideally, similar to how it came out of the ground. I currently have it in olive oil, but I'm not sure that will work? 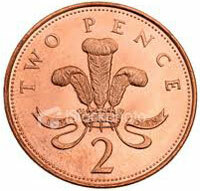 [sic] Pics of said coin (Celtic unit) are below. Allectus: "The tannin in tea is a powerful dye". Ollie-C: "As evident inside a colleagues tea cup! [emoticon] So, make a nice black brew and let it soak for a bit? Cheers"
Fusion "You could try the 'put it in the oven' method, as described in this thread". Ten pence! "You can buy a product called Brass Black which is used in the gun trade for er... turning brass or copper black or alternatively you can get some household ammonia which is relatively inexpensive and either mix some with some sawdust to dampen it then seal it in a container for a day or so, or suspend the coin by wire in a glass with a small amount of ammonia in the bottom, (the fumes turn copper green)and seal the top with cling film. Although in truth it's very hard to replicate what you've strip off". Especially as the coin shown has been electrochemically stripped to a pitted raw metal core. It's what we call in the profession "totally buggered". Danzigman: gives a link to a metal detecting website. Davybfast: adds ungrammatically and unhelpfully: "just washed my cup or I would have took a pic of the inside. lol". Ravenrook is already confused: "Sounds like a complete minefield to me!! Be very careful you don't make it worse! I'd speak to a pro in a jewelers if I were you". Yeah, they do fings wiv metill don't they? Yeah. Glenfiddich: "simple way would be to just stick it back in the ground for the next 50 - 100 years and see if that'll do anything [emoticon] sorry mate but seriously......I've no idea [emoticon] and as you already said that you've learned your lesson [emoticon] :( cheer up mate 50 - 100 years will fly in before you even know it, lol [emoticon] ". The damage OllieC has done to this archaeological object is totally irreversible. He basically has destroyed a large part of it. 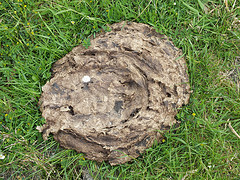 bbuster88 "Hi Ollie, found myself asking the same when I was over cleaning [emoticon] tried: liver of soulful witch to be honest just stunk my kitchen out [emoticon] didn't go down to well, then danzigman recommend JAX PETINA SOLUTION, I'll put the link for you [Noble Roman coins], anyway works brilliantly, there's no smell and if you go for the 4 then you have the choice green/black/brown.... Works in around 20/30 seconds [emoticon]". That "soulful witch" who lost her liver in this guy's kitchen worried me, until I realised the semi-literate meant "liver of sulphur".... hmmm. Cobs [OMG! ]: "You could try reverse-electrolosis, im sure that would darken the metal instead but have a read up on that first, been a while since i used electrolosis, failing that you could seal it with black boot polish". I think boot polish is preferable to metal plating by a half brain. But then since the artefact is totally gone... go on Ollie finish the job, and post a video of it. Ollie-C is grateful: "Thanks for all the advice, lots of different ways of potentially doing it then! I've currently got it soaking in tea. 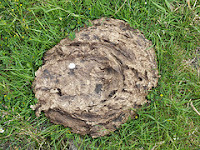 I'll report back with my findings [emoticon] I haven't got the patience to stick it back in the ground for 50-100 years [emoticon]"
Ulvir (I knew this one was coming): "Put it in a dung heap for a while - works a treat.. "
Ten pence! forgets he gave his "ammonia in a glass" idea, so repeats it. ("put the coin/relic in the cup and bury it in the sawdust"). targets returns to the organic gardening method: "poke it in a cow pat and leave for 3 months in the garden". Note that not a single one of them pointed Ollie to something called a "book", or indeed the PAS webpage with advice on handling ground-dug metal artefacts. Vignette: Now wash your hands, you don't know where that coin has been. The people of Worlingworth village in rural Suffolk are hosting another Metal Detecting Day (read commercial artefact hunting rally) in Worlingworth, Suffolk, on Sunday, 27 September 2015. Available, at £18.00 a head (max 100), is "a field of approx 85 acres, in close proximity to land where some evidence of Roman settlement has been found". "Participants must undertake to report all finds of any value or historical importance, both on the day and to the appropriate authorities afterwards". Like the last lot did (not) - according to the clunky old search engine, there were relatively few items reported from this rally. So basically up to a hundred people will again be engaged in stripping a huge hole in the middle of the village's past - and who is behind it? "Cheques should be made payable to ‘Worlingworth Local History Group’ ..." no mention made of any insurance needed. Additional evidence has been spotted that the so-called Gospel of Jesus' Wife ("PapDodge") not only is a forgery (as I suggested it was when it was first published), but a comparatively recent one. That is interesting if one remembers the collecting history going back to the 1960s and a letter of the 1980s, which now can be said was simply made-up. The evidence is published on Mark Goodacre's NT blog (Guest Post by Andrew Bernhard, 'The Gospel of Jesus’ Wife: “Patchwork” Forgery in Coptic . 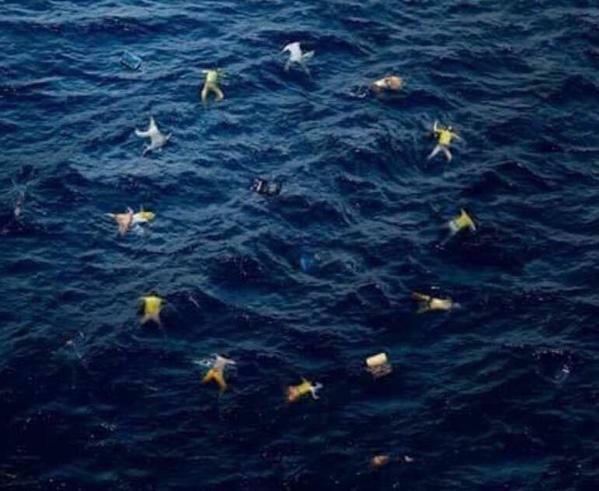 . . and English', Friday, August 28, 2015). Bernhard had already shown that the text is essentially a “patchwork” of words and short phrases culled from the lone extant Coptic manuscript of the Gospel of Thomas (Nag Hammadi Codex II), prepared by a forger using Michael W. Grondin’s PDF edition of this manuscript that was posted online on November 22, 2002. The new evidence comes from the release online of the translation that the owner of the Gospel of Jesus’ Wife provided Professor Karen King back in September 2012. With the now overwhelming evidence that the Gospel of Jesus’ Wife is dependent on Grondin’s Interlinear in Coptic . . . and English, I think it is now reasonable to assert simply that the Gospel of Jesus’ Wife was forged using Grondin’s Interlinear. Given this assumption, the Gospel of Jesus’ Wife papyrus fragment must have been forged sometime after November 2002 (when the PDF version of Grondin’s Interlinear containing the typographical/grammatical error also found in line 1 of the Gospel of Jesus’ Wife was put online) and before the Summer of 2010 (when it was first brought to the attention of Karen King). Readers will remember that the 'provenance' claimed by the current owner of the controversial papyrus was a document (contract) which stated that "it was purchased, along with five other Coptic papyrus fragments, from a man named Hans-Ulrich Laukamp in November 1999 and that Laukamp had obtained it in 1963 from Potsdam in then-East Germany". Yeah right. The DDR no longer existed when Grondin published his translation. A recent text by Owen Jarus 'Origins of 'Gospel of Jesus's Wife' Begin to Emerge', Live Science August 24, 2015 discusses the origins of the document, though the question of who Laukamp was seem now to be barely relevant to this story. Interestingly, Laukamp died in 2002 - the same year that Grondin's publication appeared. Coincidence? "Selling my deep seeking, barely used (2.5 hours) Minelab GPX 5000pi in excellent condition. Purchased for a specific job last September from Crawfords but, the land has now been sold and is out of bounds"
Yours for just GBP 3,000. Wouldn't you just love to know what that "specific job" was? Will it be “new PAS, new mission”? We may know soon for three particularly awful detecting rallies are about to be re-run. Will the new PAS management act in the interests of heritage protection this time or remain as uncritical facilitators? Northampton has "Trained Metal Detectors"
The fuss over the Delapre Golf Club club in Northampton which has stripped topsoil from part of the site of the 1460 Battle of Northampton continues. The club has now put in a retrospective application for planning permission, and objections are being raised. claims in the planning document “no significant archeological evidence was found” by a trained metal detector have sparked a furore among conservationists, with more than 100 people writing letters to Northampton Borough Council from across the UK, to object to the plans. Trained? Whatever next? Some of them might even be capable of lerning to reed and rite one day. The word, by the way, is 'archaeological'. UK "Detectorists not in it for the Money"
readers can find the man's contact details in the original letter. Why not give him a ring? Following the link he gave we find it leads to an auction aggregator, where we spot a lot of detecting finds a "box [sic - looks like a bucket to me. PMB] of metal detecting finds" est 5-10 quid. No doubt the documentation assigning ownership from each farmer and detailing the findspots and PAS record numbers - if any - is included, just he forgot to say. Or there's "Lot 1821 - Shillings to cut Halfpennies detector finds (36) Edward I to Charles I, includes some holed, damaged". Then maybe somebody would like "Lot 1716: Detector Finds a collection in a small album (60) English hammered (56) Edward I to Charles I and World (4) in mixed grades to NVF some clipped but there's no pictures (!) est: 500 - 1,000 GBP. More coins here: Lot 71: Medieval – mixed lots of hammered coins: John, Edward 1, Edward 111, etc. [7 coins in the lot] [some holed, chipped or broken] detector finds, unresearched. Or Lot 70 - Medieval - Henry 111, etc. 16 x cut halfpennies, 2 x cut farthings and one full halfpenny. Interesting findspot, eh? That "all paperwork" probably does not include a PAS report duplicating the database entry - because there seems to be none. Quite who "Dr Vezin" is, the auctioneer does not say. It was probably Dr Roger Vezin, who wrote about other finds for Lockdales, but what significance that may have is unclear. What evidence is provided about the findspot? For this reason silver sulphide (Ag2S) is the most common mineral alteration compound of silver from for example shipwrecks. Where was this coin found? Who was the finder? Who is the landowner, and has Lockdales seen a finds release form signed by the landowner on whose land this (reportedly) was found? If not, why not? Does the seller have title to sell? What checks were carried out? 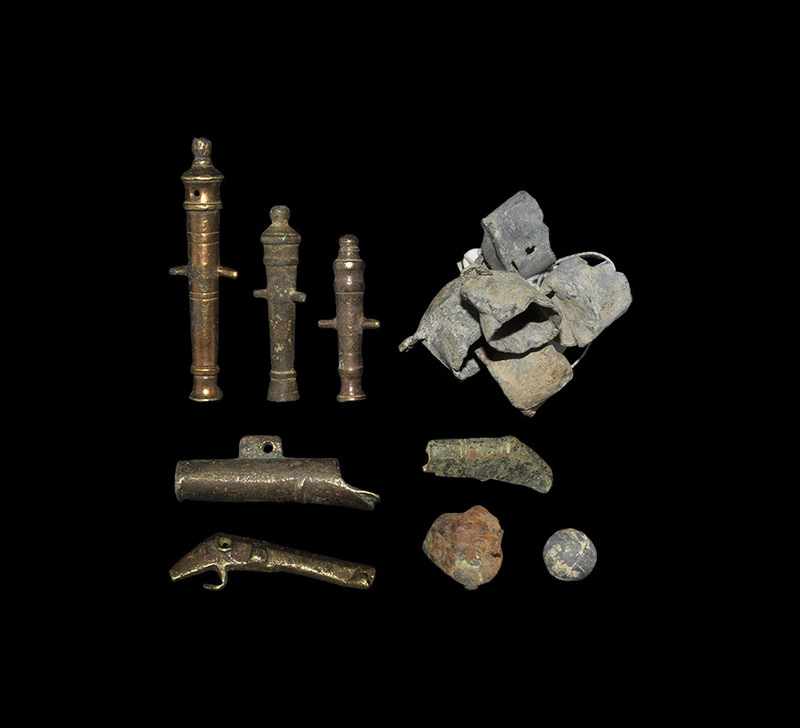 Lot 283: Post Medieval Toy Cannon and Gun-Related Items Group Est: 30 - 50 GBP, 18th-19th century AD. A mixed group of detector finds comprising: five lead measures for black powder; three barrels for toy cannons, each with lateral trunnions; a Tudor petronel and a fragment of another; a brass mould half for casting pistol balls and a lead ball of the appropriate size; a musket ram-rod ferrule with pierced lug fixture. 202 grams total, 14-70mm (1/2 - 2 3/4"). Found Canterbury area, Kent, UK, 1980s. Lot 285 - Bronze Age to Post Medieval Buckle and Other Artefacts Group Est 40 GBP - 60 GBP, 9th century BC-20th century AD. 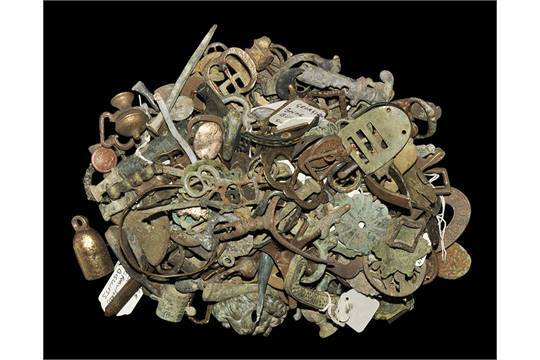 A mixed group of detector finds including: a Bronze Age miniature socketed axehead; single- and double-loop belt-buckles; shoe buckles; continental jetons; two lead pencils; a barrel tap; a Tudor purse frame; a whistle; horse harness mounts and fittings; military and other buttons; a miniature bell; various lapel badges; finger rings; stamped escutcheons; a crucifix pendant; a pencil in its metal case advertising Crawfords biscuits; medieval and later spurs. 1.4 kg total ("). Found Canterbury area, Kent, UK, 1980s. 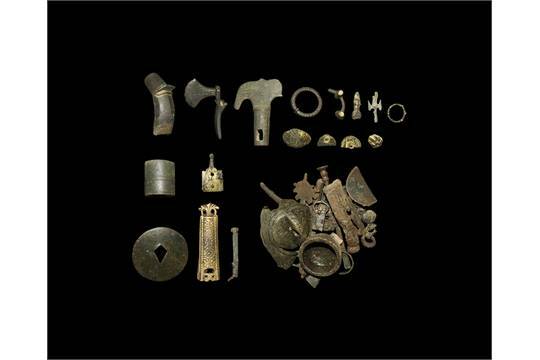 Lot 91 Medieval Mixed Detector Finds Group Est: 60 - 80 GB, 12th century AD and later. 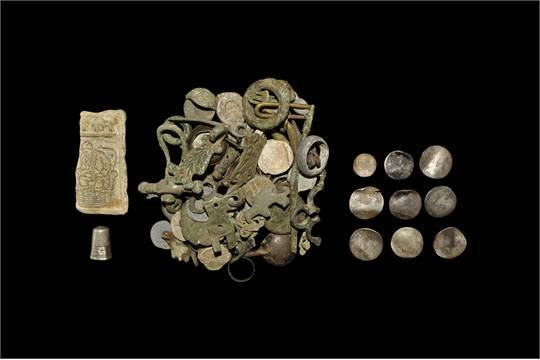 A quantity of mainly bronze items including a weight fragment with heraldic motif, buckles, mounts, a gilded dagger chape, a barrel tap and key, a rondel dagger pommel, annular brooches and other items. 480 grams total, 10-87mm (1/4 - 3 1/2"). From an old Hampshire collection. Lot 97: Saxon and Viking Detector Finds Group Estimate: 80 GBP - 100 GBP, 6th-10th century AD. A mixed group comprising: a blue glass spherical bead; a wrist-clasp with slot; a triangular hooked tag; four strap ends; a lead trial-piece with interlaced cross and rosettes; a plano-convex lead spindlewhorl; two discoid and one rectangular lead weights; a cruciform brooch fragment; a small-long brooch fragment; a ceramic bead; two flat-section plaques with silver inlay. 194 grams total, 5-40mm (1/4 - 1 1/2"). From an old Hampshire collection. These artefacts sold by weight, like potatoes. British archaeologists seem to have no problems with this sort of thing, they rarely even mention it on social media. Yet there are a number of issues that this sort of thing raises, and as more and more people who took up metal detecting in the 1970s and 1980 die off, and their loose hauls of artefacts come onto the market, the scale of the unrecorded depletion of the archaeological record will become more and more visible. At what stage will British archaeologists begin to show some curiosity about the issue?And when will they stop ignoring it for the sake of an imagined 'partnership' with those that accumulate, fail to curate and then discard such items taken from the archaeological record? Dismissed by one sector of the antiquities collecting milieu as "that woman Bokova", the UNESCO Director General has a message for the participants of the Cairo conference. Note that nowhere does she say she thinks the antiquities traders will be part of the solution to this problem. Good, these insulting denial monkeys obviously will not. "The looting of archaeological sites and museums has reached unprecedented scale, the destruction of cultural heritage, cultural cleansing is being used as a tactic of war, to terrify populations, to finance criminal activities, to spread hatred. We must consider it for what it is, a war crime [...] the protection of heritage is far more than a cultural issue, in this war on minds, it has become a security imperative. 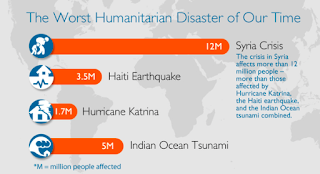 [...] To respond we need a co-ordinated action by all states". It is perhaps clearer on this version that the opponents of a closer due diligence in the market come mainly from the towns and cities. 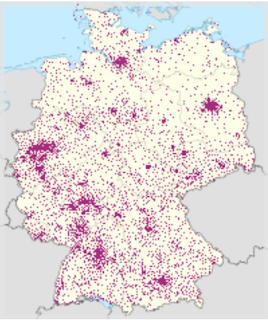 The dot distribution corresponds to the population density to some extent, but note the lighter scatter relative to population figures in former DDR. Is this due to different attitudes, or simply purchasing power across the 'united Germany'? Berlin and Munich are noticeable black spots, as are Tubingen, Heidelberg, Frankfurt and the Rhine valley, Bonn, Cologne, Dusseldorf and Hamburg. 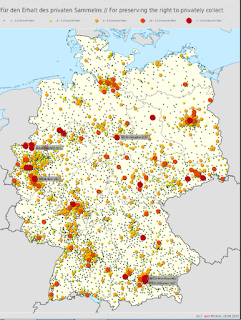 The situation of Dresden and Passau down near the border is interesting. It looks at the moment as if the final result will be somewhere around 35000 "against". Though what actually they all think they are against is debatable. Numismatic: muenzenwoche.de, coinsweekly.com, sixbid.com, acsearch.info, muenzen.eu, muenzauktion.info, blog.cgb.fr [Paris], news.mdm.de, [Münzhandelsgesellschaft Deutsche Münze, Braunschweig], subastasglobus.com [Spain], baldwin.co.uk [A. H. Baldwin and Sons Ltd, London], numismatikforum.de, kuenker.de [Fritz Rudolf Künker, Osnabruck], ma-shops.de, and ma-shops.com [Bocholt]. Here we can see that the initiators of this action are dealers, and over three quarters of the agitators noted are coin dealers. The repetition of this pattern (see the opposition to the measures of the CCPIA in the USA) makes it clear that it is coin dealers in particular who are a stumbling block to efforts and any measures adopted to clean up the antiquities market in general. In order to get co-operation from the collecting world, first of all those dealers who at every step want to frustrate such efforts need to be dealt with. Peter Tompa habitually rejects comments sent to his blog which expose the flaws in his argument. After all, he is paid to defend the indefensible no-questions-asked antiquities market and cannot let his sponsors see that his arguments are perceived as weak and hopelessly out of kilter with the facts. In pursuit of this aim on Friday, August 21, 2015 he decided to exploit the vicious murder of a Syrian heritage professional to disrupt debate on the market and its connections, giving it an ironic title: 'Exploiting a Tragedy?'. There were five comments on his blog. 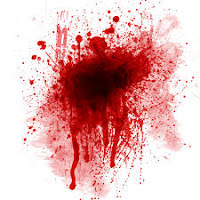 I have discussed one of them here 'Dealer Maupin and the Killing of Khaled al-As'ad' PACHI Thursday, 27 August 2015. Perhaps you would prefer to cut the discussion short when you are challenged as usual, but it is the function of a paid lobbyist and spokesman to effectively present the case for their industry's differing position on issues like this, especially when the bulk of the media is informing public opinion of a different version. Why give up so easily? Truth surely is what is important here, and not only for the sake of the memory of the dead man. If, as you say, Al-As'ad was arrested for being known as a former member of the Ba'th party and "his work for the regime" (as a museum director) then there was no reason to hold him for questioning a second time, this time for a month. They'd have taken him straight to the town square and killed him as they did those "numerous other Syrians", straight after Tadmor fell. But they let him go after his first arrest with his son (even though they knew who both were), and his family attests to them being questioned then about antiquities. And then they arrested him a second time and held him a month before executing him. Why? How many other captured museum personnel have been murdered by ISIL for "their work for the regime"? We have reports of at least one (in the Mike Giglio story which you have still not commented on) not only being let live but asked to work for ISIL - looking for buried antiquities until he escaped to Turkey. Why is it so difficult for you to admit that ISIL are interested in valuable antiquities? Who is "exploiting" this story and for what? 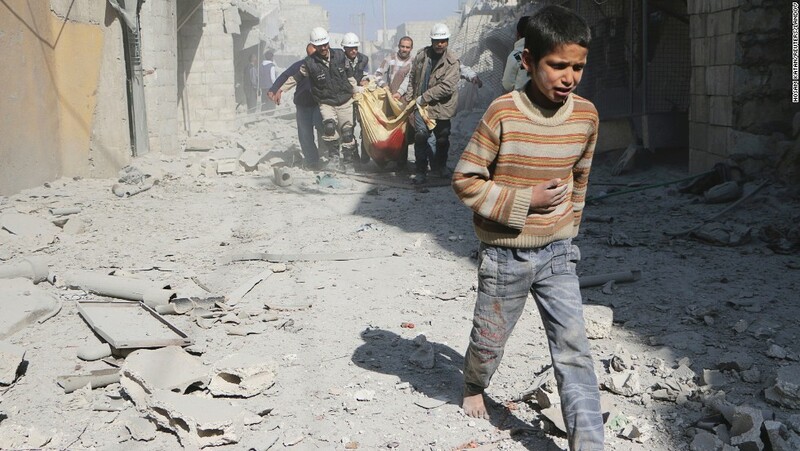 Collectors Choose to Finance the Syrian Conflict? "remains dubious that looted material is reaching our shores in any quantity, and further wonders whether the ultimate source of any such "fresh" material is just as likely, if not more likely, to be the cash-strapped Assad regime or the Free Syrian Army rather than ISIS". So presumably he sees financing conflict with collectors' money for material freshly looted from the sites and monuments of Syria or Iraq as less of a problem for consciences if the money is going to buy munitions for the Syrian regime or the (US-backed) FSA. mother, killed in an aerial attack. Peter Tompa of Bailey and Ehrenberg LLC represents several dealers' interest groups (including the IAPN who have been funding his lobbying to the tune of several tens of thousands of dollars over the past few years to say exactly this sort of thing). His blog is widely read among dealers and collectors. Now have a look at the comments under his posts. Does a single one of them respond, "yes, Peter, but don't you think...?" and then writes something showing even a glimmer of a social conscience? Absolutely not. You'll find things like personal attacks on "this Bokova woman" (UNESCO DG) and other views focussed on the "rights" of collectors to buy what they want how they want and not be challenged - but absolutely zero evidence that any of them see what Tompa writes in any kind of wider context. What does that tell you about the type of people that collect antiquities and claim these "rights" over the common heritage of us all? Baz Thugwits, the lot of them, it seems. The story of fifty "migrants" (no, let's call them what they are - refugees) found dead in a lorry in Austria is accompanied by a map. It strikes me that this is very much like a map of the movement of antiquities into Europe from the Middle East (through Turkey and Bulgaria on to Austria and SE Germany) which I'd written about a few years ago for the HAPPAH volume. The knowing participants in the market for antiquities smuggled across international borders by criminals should be ashamed of themselves. What other illegal activities are their friends the smugglers involved in? Many of you (sic) have asked how you can help support the PAS over the past 18 years and with your help through Just Giving we can continue re-writing the archaeology and history of England, Wales and your local areas. Donating through JustGiving is simple, fast and totally secure. Your details are safe with JustGiving – they’ll never sell them on or send unwanted emails. Once you donate, they’ll send your money directly to the charity. The British Museum Learning, Volunteers and Audiences Department is not however a charity. Neither does the PAS have an accounting department, so what happens when this money enters the British Museum? The webpage does not say. A bit incongruous don't you think? One wonders when the Treasure ransom system will be linked with the need for funds to administer it. Maybe metal detectorists will now run fundraising events, not for the usual range of 'socially conspicuous' aims (Men in uniforms, Children, disabled children, boy scouts etc), but to raise money for their 'partner' which does so much to bolster their image. And let them not be coy about it and do it anonymously, let them stand up and shout, "I'm a metal detectorist and I support the PAS!" 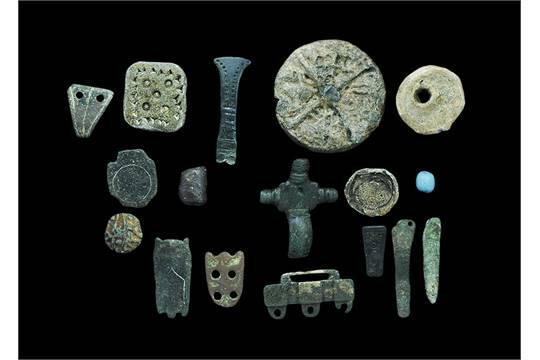 Metal detectorists and antiquity collectors from across the Atlantic who say the PAS is the next best thing to heaven need not be shy about donating either, their money will not be turned away. Stout, Sayles, Welsh and Tompa, this means you. The Welsh need not bother, they'll probably not have a PAS much longer. In the opinion of this blog, antiquities dealers can at times be nasty, unpleasant jerks. Nowhere is this more clearly seen in the reaction of several of them brutal decapitation of Khaled al-As'ad, a person who was well-known, liked and respected, among others, by my colleagues in the Polish expedition to Palmyra. His death shocked the world, and not just the archaeological world. Antiquities dealer Chris M. Maupin of Clio Ancient Art and Antiquities (Wilmington, NC) however is not bothered by that. He deserves widespread condemnation for his insistence that what we know of the archaeologist's final days was just "rather silly claims" and that he had been murdered for nothing more than "being a member of the Ba'ath party" (like 18% of the whole population of Syria). 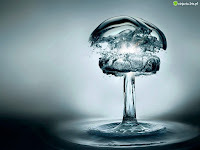 This follows by poison-dwarf Tompa's claim of the same thing ('Exploiting a Tragedy', CPO August 21, 2015) on his blog conducted as part of his IAPN-funded lobbying (the executive board of the IAPN, asked several times have not attempted to deny this). Tompa asserts that al-As'ad was killed merely for being a member of the Ba'ath party and "it appears the claim that the scholar was murdered for refusing to disclose the location of hidden antiquities is based not on eyewitness testimony but upon the claims of antiquities officials of the Assad regime in Damascus" - as if the latter (for whom Al-As'ad had been working for five decades) would not have been able to contact the dead man's family. Neither Maupin or Tompa have, I would guess, much experience of conducting such an operation in the face of an ongoing disaster, either military or natural. 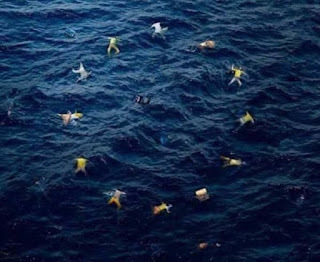 Those of us who have will have some appreciation of what may have been involved trying to do anything like that in a town in the process of falling to an enemy and everybody who can trying to get out too, lack of vehicles, lack of fuel for them, negotiating roads crammed with fleeing refugees, lack of people willing to help loading and the driving when their homes and families are in the front line. The trip to Damascus is about 200 km, I think it pretty obvious that some museum items may have been dropped off nearer to Palmyra (in a safe house or buried in the desert) in order to get back to the museum to remove more. Al-As'ad was reported to have been arrested by ISIL twice after the fall of the town. The first time was at the end of May, along with his son Walid, who was later released. Asaad and his eldest son Walid were picked up by Islamic State on May 22, two days after Palmyra was captured. They were taken to Islamic State headquarters in the northern city of Raqqa and questioned, then released two days later. Palmyra fell on 21 May. Mr al-Asaad and his son were taken into captivity, says Dr Denis Genequand, a University of Geneva archaeologist who worked closely with Mr al-Asaad, and knows his family. ‘One thing that we know from the son, who is now in Damascus, was when they were together in jail, the militants tried to make them tell them where some of the treasures, especially gold, were stored,’ he says. Al-As'ad was then released. He was reportedly re-arrested at the end of July after several ISIL-collaborators in the town had made accusations of various things and arrested a second time . On July 20 Islamic State came back. This time the fighters were rounding up archaeologists. Mr Asaad was held and interrogated for more than a month. On Monday 17th August, the jihadists had appeared to relent, telling relations that his release was imminent. The next day, he was taken to a city square and beheaded. His body was then put on public display. The accusation on the placard in the display of his mutilated corpse was of “supporting the Nusayri (Alawi) regime because he is the representative of Syria in Blasphemousness conferences, being the director of the archaeological idols of Palmyra, visiting Iran and attending the concert victory of al- Khomeini’s revolution, communicating with his brother the head of the intelligence branch of Filistin and communicating with a general in the presidential palace”. Two days later they cut off his arms and legs, according to his son Mohammed. Why would the dealer who runs Clio Antiquities be so concerned about whether ISIL were trying to locate caches of antiquities or not and to dismiss those reports? One exception is the coin trade, says Michael Danti, a Boston University professor who co-directs the ASOR Syrian Heritage Initiative, a joint venture between the US State Department and the American Schools of Oriental Research dedicated to documenting incidents of looting. He says coins are a problem. I agree with him. Clean up the ancient coin trade. SUSS-BA7F45: Found near Brighton. A modern fantasy coin representing a Roman denarius in silver based on obverse portraits of Julius Caesar and the AEGVPTO (or AEGVPT) CAPTA reverse type of Octavian minted in 28-27 BC. The best explanation seems to be that it was made for people to buy whilst on the Grand Tour in Italy. 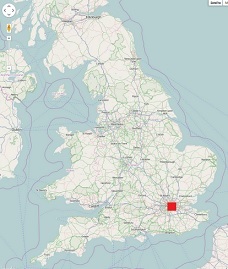 It was subsequently lost near Brighton. This coin is recognizably a modern loss, but illustrates the huge potential for material in scattered ephemeral collections to contaminate the archaeological record. 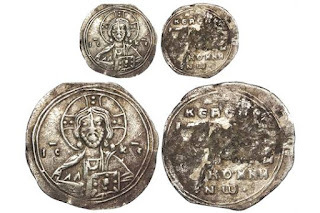 If the tourist had returned with authentic coins and they were scattered in the same way, and then found by a metal detectorist and reported, they'd be recorded by the PAS as archaeological evidence. NY Times editorial board The Crimes of Palmyra. To ISIS, the destruction of the Palmyra temple, like the destruction of ancient statues and monuments in Nimrud, Hatra and other regions under its control, is of a part with the destruction of “apostates,” the decimation of communities like the Assyrian and Yazidi religious minorities, or the enslaving of women, or the beheading of Western hostages: It is an ethnic, religious and cultural cleansing of anything the zealots deem alien to the pure Islamic state. [...] But for all its well-publicized atrocities, it is neither all powerful nor immune to military and economic pressures from the West. Whoever dug up the grave of Lt. James Nichols in the Old Bethel Church Cemetery [was] probably [...] looking for Confederate artifacts to sell [...] It was the second time in two years someone has dug up Confederate soldiers’ graves in Georgia looking for artifacts [...] in a robbery similar to the Crawford County looting, someone dug up five graves in a Burke County graveyard in April 2013 leaving uniforms behind at four soldiers’ burial sites, along with the iron casket of an infant that had been extracted from its shallow grave. Metal objects such as buttons were missing. In that case, Burke County sheriff’s deputies arrested two men shortly after that desecration. Both were sentenced to serve five-year prison sentences. Maybe one of the dealers and collectors who claim that the antiquities collectables market is "not responsible for looting of sites" might like to argue the case here? I thought not. a terrorist organization under 18 USC 233A"
The FBI has issued an alert warning dealers, collectors and everybody else that illicit antiquities from militant groups like ISIL are hitting the US market. Dealers and collectors will no doubt continue to dismiss and ignore such issues. 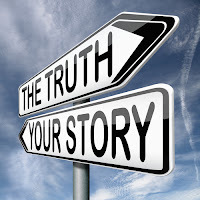 It is no use relying on merely hoping for their 'listening to reason' and coming round to co-operation, those in strident denial and their followers need to be regulated by the industry as a whole being forced transparently and accountably to employ best practice by externally imposed regulation in the interests of all. UK Metal Detectorist Did Not Donate? Here we have another of those double entries for which the PAS database is notorious. This is a Treasure case and thus has to be reported through the Treasure reports, but as I've pointed out before, resources are being used to publish a duplicate record in the PAS database to bulk out the numbers. These resources are not therefore available for recording bona-fide non-treasure items which are being turned away. Although the hoard contains eight items, the PAS 'record' currently only illustrates three of them by small photos just of one side - what kind of a 'record' is that? More interestingly, I note that there is no information in this record about the means of discovery. on checking we see that there is only random recording of this information in current PAS records (unlike the systematic approach required by the record template in use in Roger Bland's PAS). This freestyle (karaoke?) manner of writing records makes their analysis for any archaeological purpose more difficult. A metal detectorist selects the finds to pick up and record in a different manner from other (non-collecting) members of the public, and a schoolboy amateur archaeologist doing systematic fieldwalking will pick up and report another range of artefacts. I suspect that if this is deliberate policy (and not a result of falling standards) it will have been done to "protect the reputation of the artefact hunting partners". Until now the PAS in their annual reporting has been making a great thing about how many percent of their "wotta-lotta-stuff-we-got" finds came from metal detecting. That number has fluctuated around the 80% mark - because detecting club meetings and commercial rallies are an easier place for FLOs to pick up finds to record than meeting the general public. These figures in turn have been usd by mouthpieces of the hobby to show how "useful" metal detecting is to us all. Suppose now the LVA-PAS is not attracting so many metal detectorists, are these figures now not being recorded in order to avoid the necessity of documenting the decline? The landowner kindly waived his right to a reward in this case, allowing the Dock Museum to acquire the hoard at reduced expense. 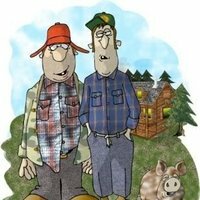 Th landowner's name is Mr Hutchinson Of course the finder's not in it fer the munny is he? Now I think that in the name of transparency, anyone taking public money for allowing the public access to the public's own heritage deserves to have his name made public. Not exactly prime collectable quality are they? In fact two pieces of rather junky coins, not even the PAS record says why they are in any way worthy of being added to the national collection alongside all the other Henry II coins there. and checking that the finder had the landowner's permission to be on that land, when will you do that to avoid putting 'laundered' finds in the database? How many of the objects in the PAS database have been 'recorded' without the FLO even having the thing in her hand? How widespread is this practice and what does that mean for the reliability of the information in the PAS database in general? "It just struck me that they were an odd bunch of obsessive characters, with this really interesting, sort of lonely, melancholy pastime. And so I started to look into it and discovered this subculture of mainly blokes, who go out and stare at the ground for hours on end, hoping to find gold but usually finding absolutely nothing. And I just thought that was quite a rich vein of comedy." That obsessiveness is one reason why none of them can ever face any frank discussion of the issues which surround artefact hunting and collecting, it prevents them from seeing their activity in a wider context. Without Due Diligence How to Spot Blood Antiquities? Three men were found dead in Monufiya, north of Cairo, on Tuesday after they tried to excavate for ancient artifacts. The province’s security directorate said the well, dug by the three brothers, was inside a garage. Two of the brothers died while trying to rescue their third brother who had fallen down into the hole. Reports of individuals independently searching for antiquities at their residences have increased since the 2011 uprising. Egyptian laws criminalize the illegal and unauthorized trade of Egyptian antiquities. The incident comes a few days after four others were found missing and later dead after searching for possible treasure inside their home in Fayoum. Buying artefacts of unproven status means running the risk of buying blood antiquities like those produced by excavations like this. Why not sleep soundly and demand verifiable documentation of licit origins? Or do collectors simply lack consciences and not lose sleep over things like this? "Collectors, trust me - it's not really happening"
This blog is up front. It reflects the views of collectors. That'd be odd if it did. Its author is a paid lobbyist of a dealers' association and is associated with several dealers' interest groups (not all of them accurately-named, to conceal that). I do not think anyone would be misled by a lobbyist for the tobacco companies claiming to "represent the interests of smokers" when discussing the effects of smoking on health, or any other industry of concern to society as a whole. But, collectors are apparently simpletons, they buy this one each time. Mr Tompa wants superficial and gullible collectors to believe that what HE says about "claims about looting in Syria" is the one and only truth about looting in Syria because what he says "reflects the view of collectors". All the rest should be dismissed he says. Syrian heritage professionals know nothing about the looting taking place in their own country, Tompa says, because this "is pure propaganda". Mr Tompa in on office off a Washington backstreet knows everything about what's happening there, people on the ground know nothing. Tompa would have collectors believe he is qualified to speak, and the people on the ground with information from those who can see it with their own eyes, well, obviously - dear collectors - that is "propaganda". American (only?) scholars who attempt to monitor looting and raise awareness - well "obviously" dear collectors there is a "conflict of interest" innit? Tompa harps on about some of them getting a $600,000 contract to do that. This was ASOR, an organization which according to Mr Tompa, "takes a dim view of private collecting". Here is the ASOR statement on that - as can be seen, it covers ONLY collecting of illicitly-obtained artefacts, not collecting in itself. But collectors are superficial simpletons, they are not going to check the source. UNESCO is run by a former Bulgarian Communist (now Socialist) and its pronouncements reflect a state ownership approach that ignores the rights of individuals, ethnic and religious groups. Not surprisingly, UNESCO supports repatriation of artifacts to Assad in the midst of a civil war despite the Assad regime's poor stewardship and even purposeful destruction of cultural artfiacts. There is it again, the repatriation-word. Where is the evidence, Mr Tompa for that? Can you show your readers the statement of Ms Bokova, your nasty Communisssst blonde bogeylady, saying that? No, of course you can't because you've not checked your sources either. Why would a lobbyist for the antiquities dealers attempt all the time to deflect attention to repatriation (read: "taking things away from Americans") when all the time what is being pursued is in reality prohibiting and preventing the illicit import, export and transfer of ownership of cultural property? Why? What interests have dealers in the illicit import, export and transfer of ownership of cultural property that they do not want people talking about it , so invent a substitute meme - "repatriation" to absorb collectors' attention? Indeed, collectors are simpletons and they buy it each time. As for UNESCO's policies "ignoring the rights of ethnic and religious groups", only somebody woefully ignorant of its many activities could say such a moronic thing and hope to get away with it. But collectors are simpletons, he can count on them buying his tripe. As for that 'ssssocialist' UNESCO DG (have you paid your subscription yet, America?) Irina Bokova, She's a very nice lady, and was 18 when the 1970 Convention was written. The notion that it is states which are responsible for cultural heritage protection is nothing to do with Ms Bokova and her 'sssssocialism', it is part and parcel of the mission of the organization to which she was appointed in 2009 (clue: the name United Nations). The 1970 Convention, Mr Tompa, dear collectors, is about nations helping each other protect their cultural heritage - however foreign that may sound to a US lobbyist for the antiquities trade which is all about taking it and making money from it. But yes, everybody should be looking very critically about what is being said about the no-questions-asked trade in antiquities - and especially look at the drag-everything-down-to-the-personal-level-and-conspiracy-theory methods of the supporters of the practice. Enough said. ISIL looting and Destruction at Palmyra? Nazi Gold Train in Poland? 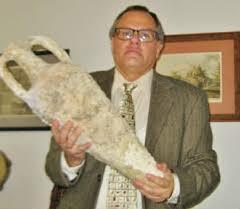 Senator Kaine to Support Antiquity Dealers?